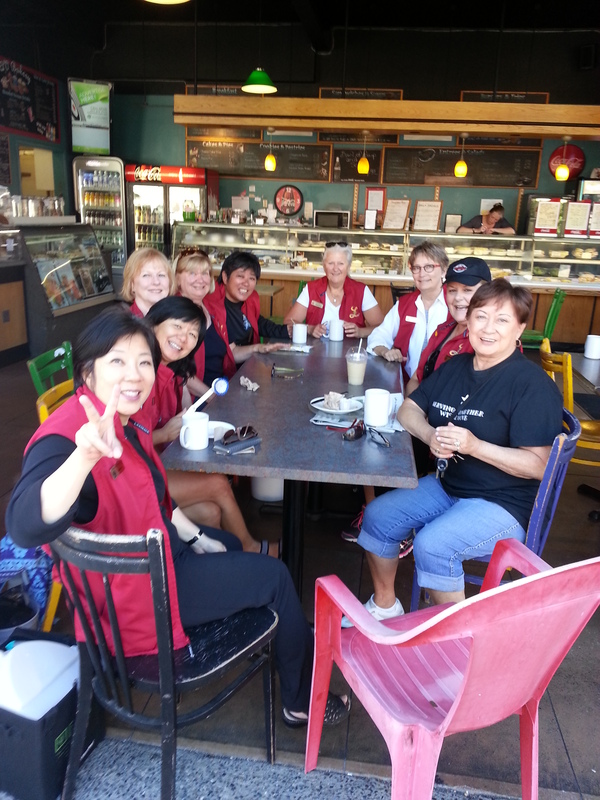 The early bird pickers came out at the crack of dawn to scope out the 40 odd boxes of treasures at the 4th bi-annual Victoria Chinatown Lioness garage sale this year! Set in Oak Bay as part of the GARAGELLENNIUM XVI, the sun was shining and people were ready buy ! It was another successful event with approximately $1000.00 going to local charities. 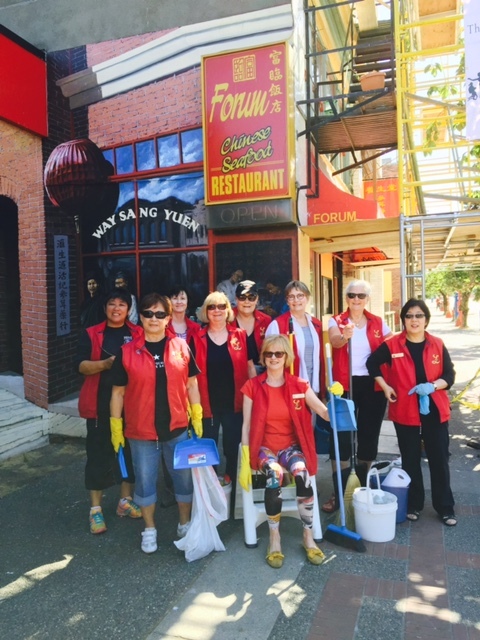 It was a true team effort with over 100 hours of labour put forth by 15 Lioness and 3 husbands.Goods that did not sell were donated to organizations in Victoria such as The Single Parent Resource Centre, WIN, Our Place, The Centennial Square Book Exchange Box, and the Salvation Army. Thank you to all who have contributed. We look forward to seeing you in a couple of years! Our newest annual civic activity, helping create Victoria’s Living Flag on Canada Day . Lioness put a little polish on our historic Chinatown. Special care was given to the Gate of Harmonious Interest which displays plaques honoring two Veteran Lioness fathers , and recognizing Victoria Chinatown Lioness as significant donors to the gate project in 1998. Venus Sophia Tea Room, right in the heart of Chinatown, was the perfect place to cool down, and enjoy fine food, fragrant teas and Lioness friends. This entry was posted in COMMUNITY SERVICE, GARAGE SALE and tagged Canada Day Living Flag, Candian Chinese Veterans, Chinese heritage, community support, Garage Sale, Gate of Harmonious Interest, Our Place, QV cafe, Single Parent Resource Center, Venus Sophia Restaurant, Victoria Chinatown Lioness Club, W.I.N.. Bookmark the permalink.